I have to admit with twins you never know how it will be…most often one is sleeping while the other is ready to party! But not in this case! They could not have been more perfect at 4 weeks. I think thats has alot to do with their mommy and daddy who were so on the ball and listened to all my pre-prep stuff as we photographed these cuties at their home! Another one of those clients who just get it and I love that! 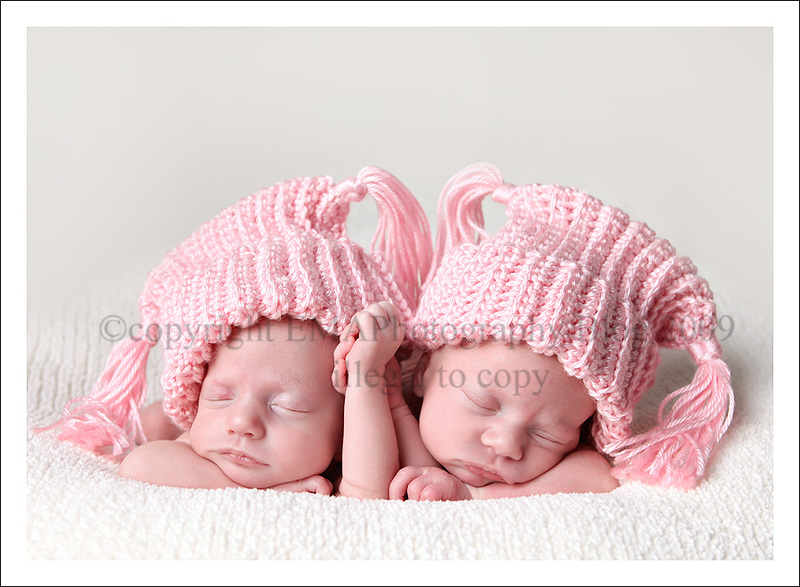 and had to share this one as grandmom made their sweet hats! Isn’t that so special! Dulce - wow, these are all so cute I would have a hard time picking a favorite if I was the mommy! I think that I would have to pick the second one though… they just look so cozy! Shea - Carrie they are just perfect! I love the first one where they are holding hands. Donna - Those pictures are gorgeous! Wish I could see the whole gallery!! Amazing as usual!!!!! Janine Memon - Love these! I am so sad I missed out on helping out. The black and white is stunning and I hope to see it on your wall! Lisa - Perfection, Carrie – love those hats! Laura - wow!! just fabulous!! Dana - Carrie – As the proud Mommy of these girls, Regan and Ryan, I have to say that you have done an outstanding job!!! Thank you so much. Mom and Dad are very pleased! Tonia - Oh OH! Just love them all!!! I have twins coming soon too and have been waiting since the day she booked her session for them! Great job as always! Love your work! chris plamann - oh! i love love love these! Amy M - Love these pictures!! so sweet. My mom is friends with the grandmom- they will all love the pictures. Lisa Kelly - Seriously Carrie, you have outdone yourself. These are amazing images, each and everyone of them is a favourite. Carley Mac - these are absolutely gorgeous 🙂 what a perfect pair! Kathie H - Loved the pictures, I am the grandmother. What a job you do, you are truly amazing. BUT WHAT A BEAUTIFUL PAIR YOU HAD AS MODELS. Pat Brown - What beautiful pictures, but what beautiful subjects!! I am the Great aunt, Grandmother’s sister, so we are all rather prejudiced.Thank you for sharing!!!!!!! Michelle Calhoun - Your work is just sooo inspiring!!!! I mean REALLY!!! I spent an hour on your actual website the other night, just looking around, and now seeing these… All is can say is WOW!!! Your work is just beautiful, and original.. After seeing your stuff too, I plan to turn a 9 month old baby upside down tomorrow (I just fell in LOVE with that shot on your website) You are just FANTASTIC!!! Kimberly Hill - No way, they are holding hands!! You’re amazing with newborns, Carrie. You make it look so easy and it’s incredibly difficult to pull off work like this. Bravo!!! These little angels are absolutely gorgeous and Grandmom is quite the crafter. They’ll treasure these images always. Kudos to Mom & Dad for following the directions to help make the session all it could be. Kendell Silveira - Awwww those hats are darling. 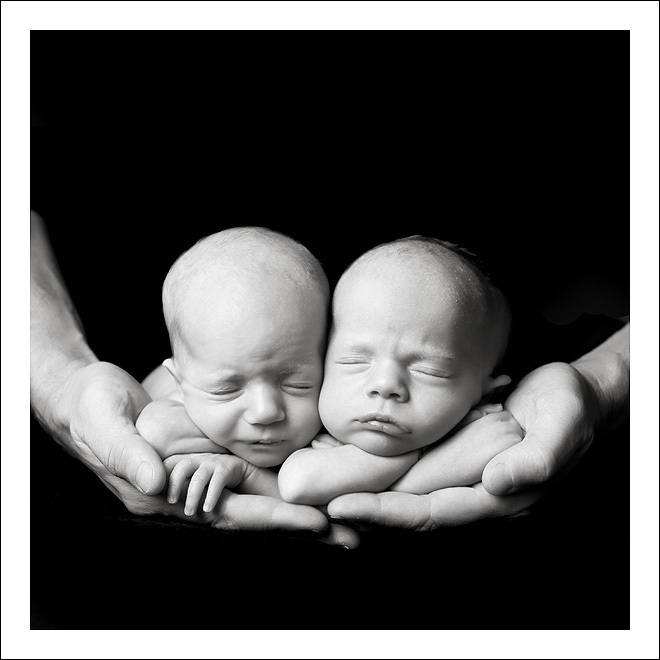 What beautiful babies and what incredible photography. Great job! PamN - I just can’t get over how you get such stunning images EVERY TIME!!! Amy - Carrie these are AMAZING!!!! Mari - They are the sweetest little peanuts! LOVE how you have captured them Carrie!! Jen - Siiiiiigh. GORGEOUS, as always! 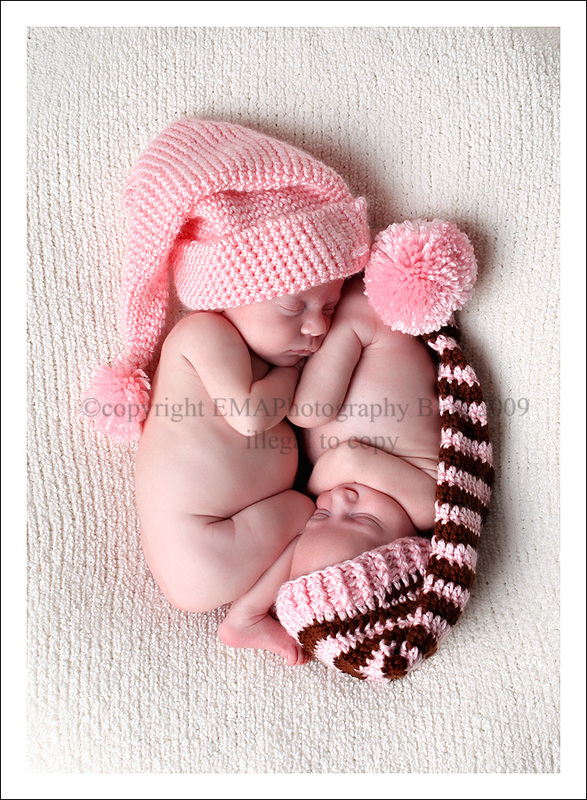 I don’t know how you get those kinds of poses out of TWO babies at once,lol. Gorgeous! jennifer - awww these are so cute, beautiful! admin - wow Michelle…I don’t really post replies to comments but this is so sweet and you really made my day! thank you! Mary - These twins just made me giggle! So gosh darn cute!!!! Teri Mason - these are so precious! You really are *the* newborn photographer, Carrie! I’m sure you bring such joy to your clients’ lives. Michelle Parsley - So precious!!! I love these!!! Jamie Hines - OMG look at the lil Nugs!!!!!!!!!!!! Dude I love it!!!! !